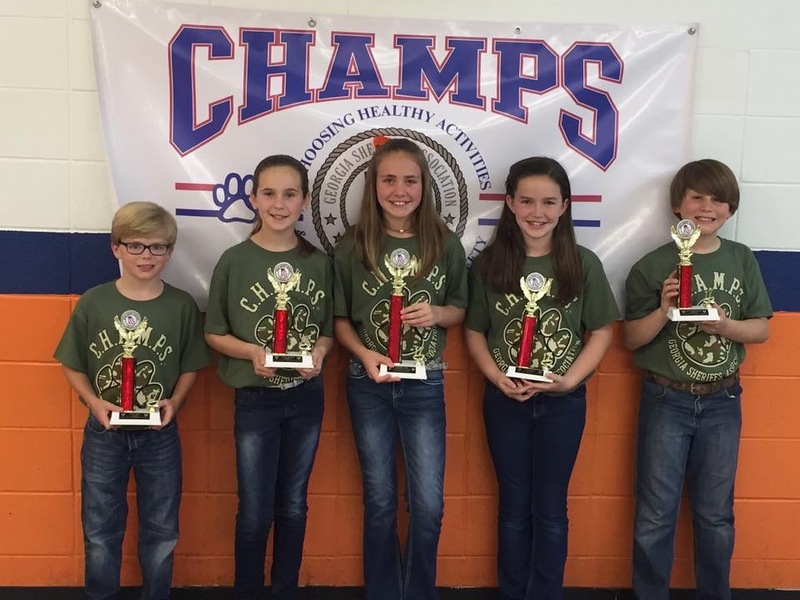 On March 21, twenty-two Westwood 5th Graders graduated from the Georgia Sheriff’s Association’s CHAMPS program. Westwood is proud to continue partnering with the local Sheriff’s Department, Sheriff W.E. 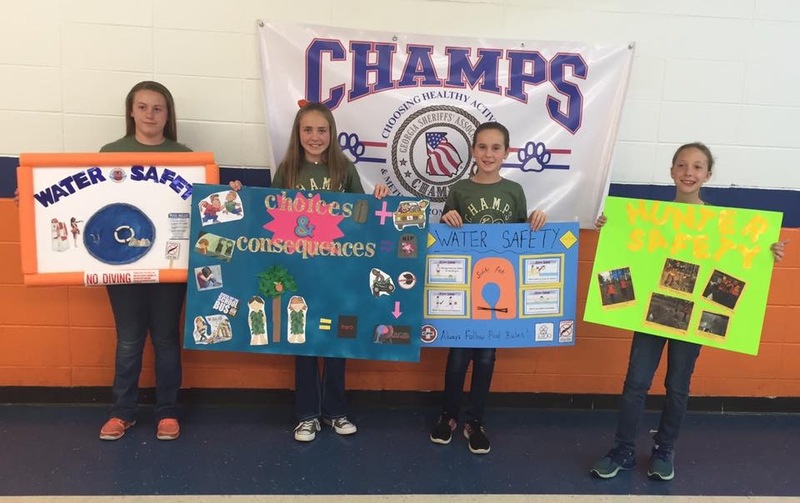 Bozeman and Captain Terry Hayes to offer the “Choosing Healthy Activities & Methods Promoting Safety” (CHAMPS) program to Westwood 5th Graders each year. Through the program, Captain Hayes works weekly with students, discussing challenges such as drugs, alcohol, hunting safety, ATV safety and water safety. Most importantly, Captain Hayes teaches the kids to formulate strategies and methods to help them overcome these challenges and make safe and healthy choices as they grow and mature. The graduation ceremony featured the art and essays of each student, illustrating what they had learned throughout the year. Awards were given for best posters and essays, and after the ceremony, the students and their families enjoyed a light meal provided by parents from the class. Captain Hayes was recognized by the class with a gift, and he in turn announced his gratitude to Equity Group/Keystone Foods for graciously sponsoring and partnering with the Sheriff’s Department to provide the trophies and prizes for the awards. Westwood is so very proud of these students and thankful that teachers, Andrea Stargel and Jill Pollock, continue to help make this program an important part of 5th Grade at Westwood!!! !